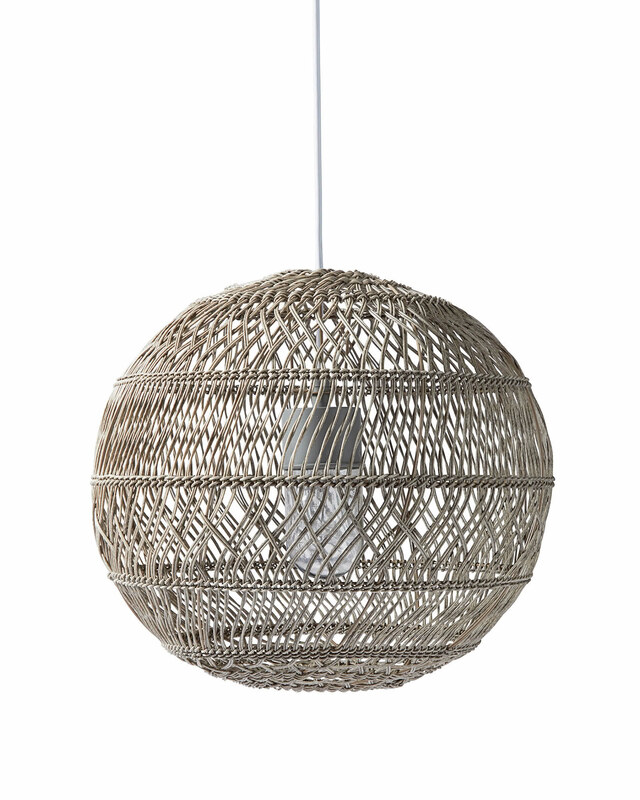 Summerland Outdoor Round PendantSummerland Outdoor Round Pendant, Harbor Grey alt="Summerland Outdoor Round Pendant, Harbor Grey"
Estimated ship date is 5/20/2019. 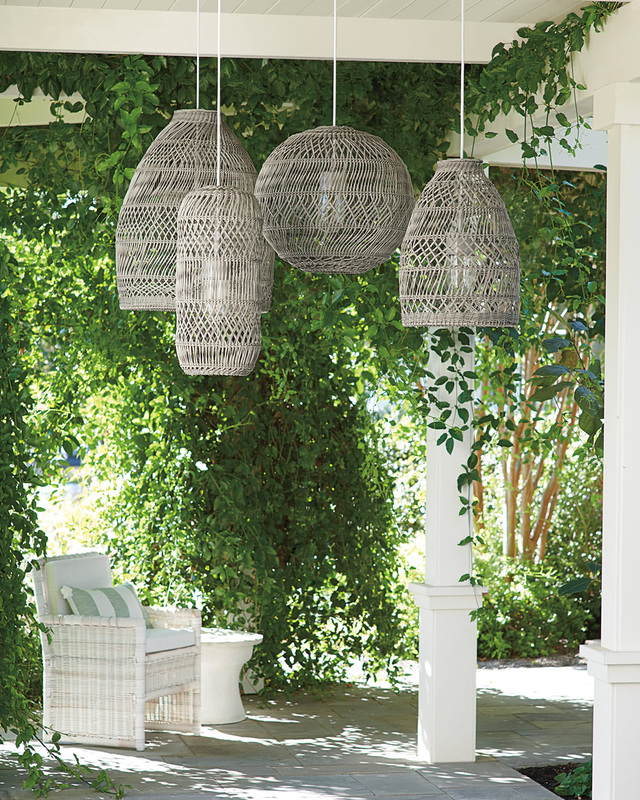 Print Light and airy, our open-weave design brings a nice dose of artistry and texture to the mix. 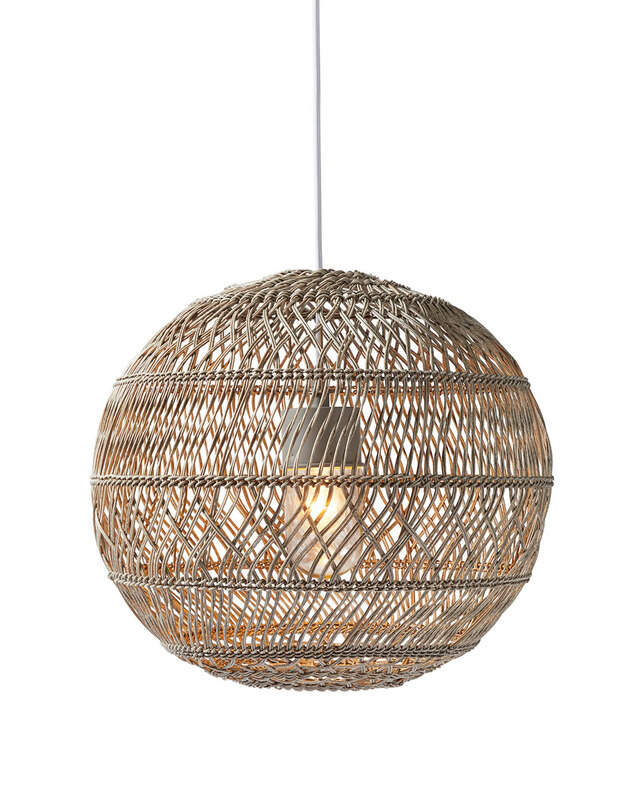 Woven weather-friendly resin in our exclusive finishes mimic the look of rattan, giving it that coastal air we love. All-weather resin on metal frame. White powdercoated iron ceiling plate. Available in our exclusive finishes. Uses a Type A Bulb, 60W max. Wet UL-listed; suitable for use in bathrooms and outdoor areas. Wipe with a soft cloth. Do not use chemical cleansers as these will damage the finish.